The recipe came from The Pinning Momma and I'm glad that I pinned it. So delicious! There's some other recipes over there that I might try in the future. 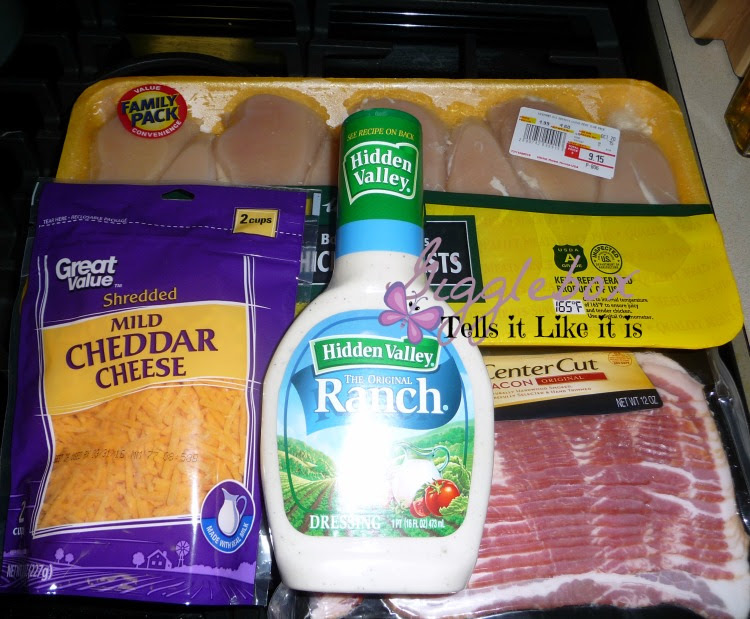 You'll need chicken breasts (I only made two since it was for Jon and I), bacon, Ranch dressing, and cheese. Only 4 ingredients which makes it even better! Preheat your oven for 400 degrees. 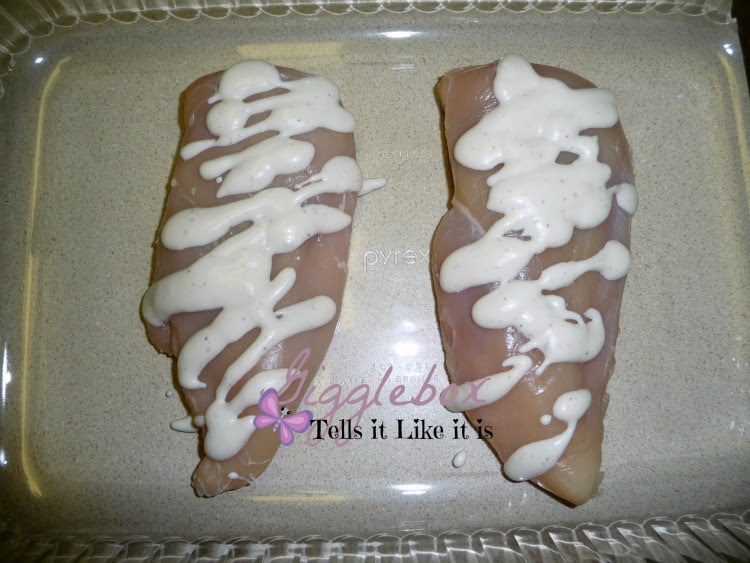 Drizzle the Ranch over the chicken breasts. 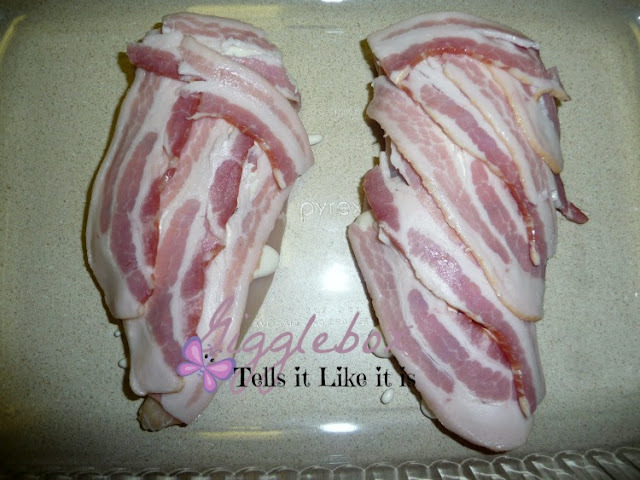 Then add the bacon on top. Put as much or as little bacon on there as you want. 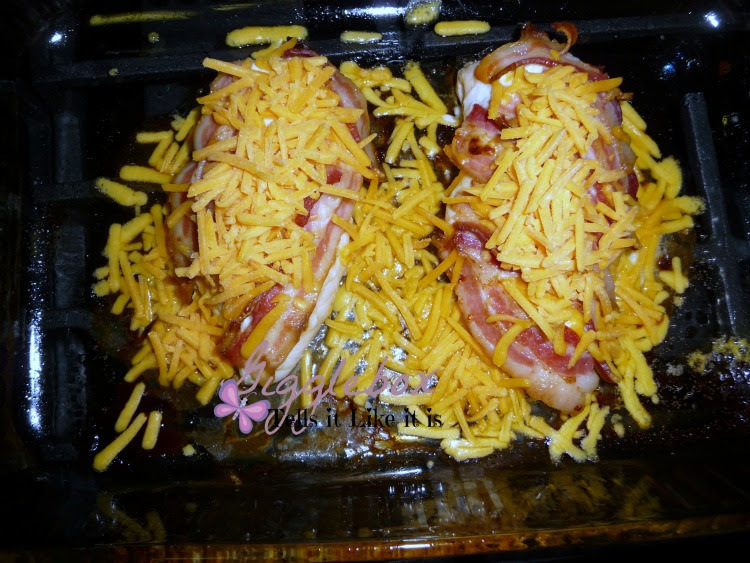 Bake in oven for 25 - 35 minutes. 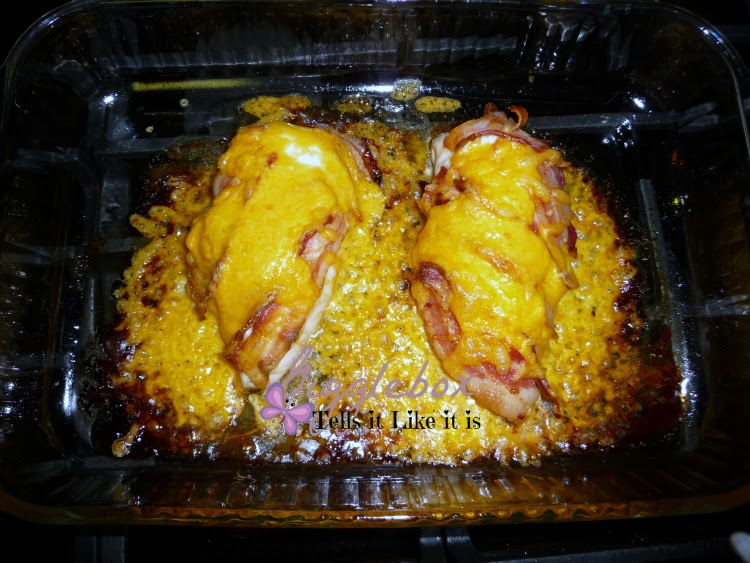 Take out of the oven and sprinkle as much cheese on the chicken as you'd like. Put back in the oven for another 3 - 5 minutes to melt the cheese. There you have it! Add some nice veggies or whatever side you'd like and you've got a delicious, simple meal for dinner. I actually just served the chicken by itself. 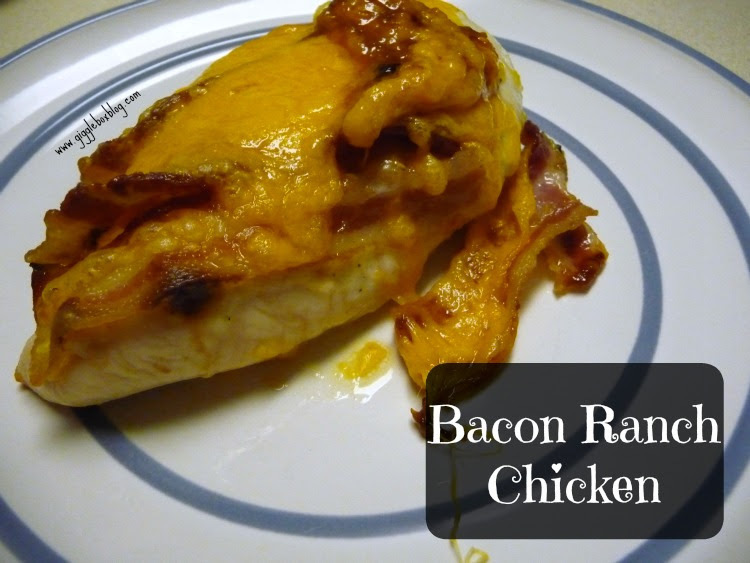 I'm definitely going to be adding this to our meal rotation.